It can be an unforgiving world when a product falls short of a buyer’s expectations. At Alliant Insurance Services, we understand this harsh reality of doing business. Your business may not have had involvement with a product’s design or manufacture yet a retailer or wholesaler can be swept into complicated and costly litigation from merely being part of today’s global supply chain. Being drawn into litigation can be more of a possibility when the manufacturer or processor is located in an emerging market that refuses to acknowledge any potential liability. Although the greatest liability typically rests with the manufacturer or designer of a product, repairing, importing, distributing, or selling a product—especially if it was manufactured by a now-defunct company—can also expose a company to enormous liability that can involve dozens of parties in the stream of commerce. And unraveling the web of liability itself can cause defense costs to climb well into the six figures. 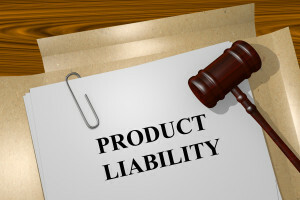 Product liability coverage, however, is specifically designed to mitigate the financial impact, including defense costs, of claims arising from manufacturing defects, design flaws, or insufficient warning or instructions—exposures that may not be covered under a general liability policy. Assessing a company’s vulnerability is not a job for amateurs. 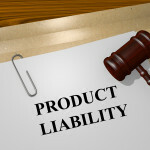 Product liability varies not only along the supply chain but also within each link in the chain. It takes an experienced specialist who can help a company uncover risk practices that may be second nature to a company but overlooked in developing a cost-effective insurance program.